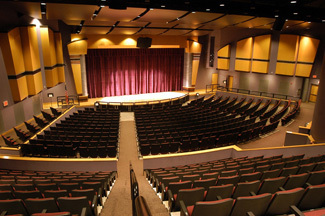 The Timberlane Regional School District has mobilized major resources and community support to design, fund and construct the Timberlane Performing Arts Center (PAC) in 1999-2002. 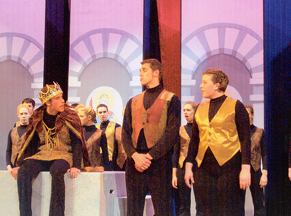 Timberlane's performing arts programs had previously operated in shabby, inadequate facilities. The District had nevertheless developed a strong reputation for excellence, with over 25% of Middle School students, and 20% of the High School, involved in the programs. In response to continued growth in the area's population, the District embarked upon a major capital improvement project in 1999, including the erection of the PAC. Despite an uncertain school funding climate, the voters approved a $32 million bond issue to carry out the project. When rising costs in 2001 required additional funding, $1.5 million in supplemental funding was approved. Through this whole process, the superintendent and school board were consistent in their advocacy for the need and importance of the project. The PAC includes the largest school auditorium in the state, with a smaller performance arena, large ensemble and individual instruction and rehearsal areas, and state-of-the-art lighting and sound equipment. In addition to its primary function of supporting arts instruction, the facility is used for community events, concerts and other performances by outside groups, and other student activities and ceremonies. The PAC bears eloquent witness to the belief of an entire community that the arts will play a significant role in its future.